At Regis, we are always raising the bar on modern aged care and changing the perceptions of ageing. Our aged care facilities in North Fremantle is no exception. Just a short walk away from the Mosman Park Cricket Club and the North Fremantle Bowling Club, this North Fremantle nursing home boasts the beauty of a heritage building with a contemporary flair. High quality care services such as ageing-in-place, dementia care, palliative care and respite care. Social events held to encourage companionship and social interaction. 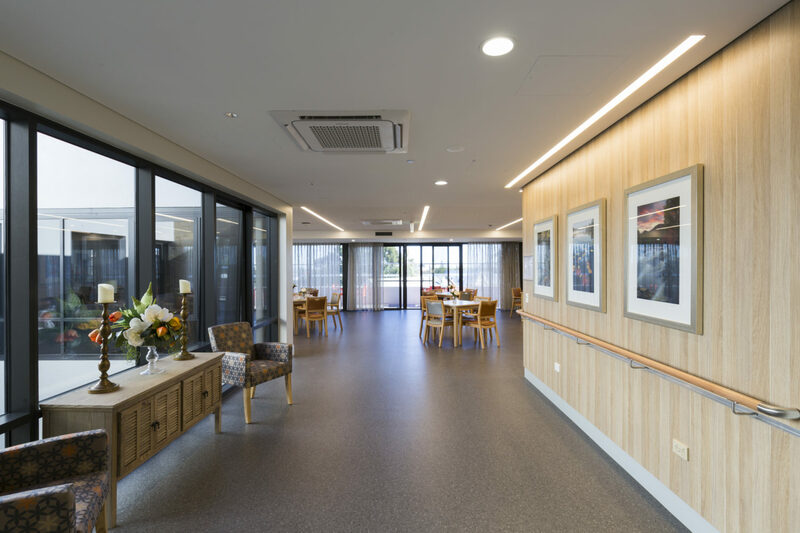 Hotel style services, on-site chef, cinema, café, library and much more can be found at our beautiful North Fremantle nursing home. Everything we do at our North Fremantle nursing home is focused around our residents. Our mission will always be to provide the best possible tailored support so our residents can live life on their own terms. Contact us on 1300 998 100 and check eligibility for government funding for your stay at Regis today.